ProxSummit Recap: The Future Is In Close Proximity! 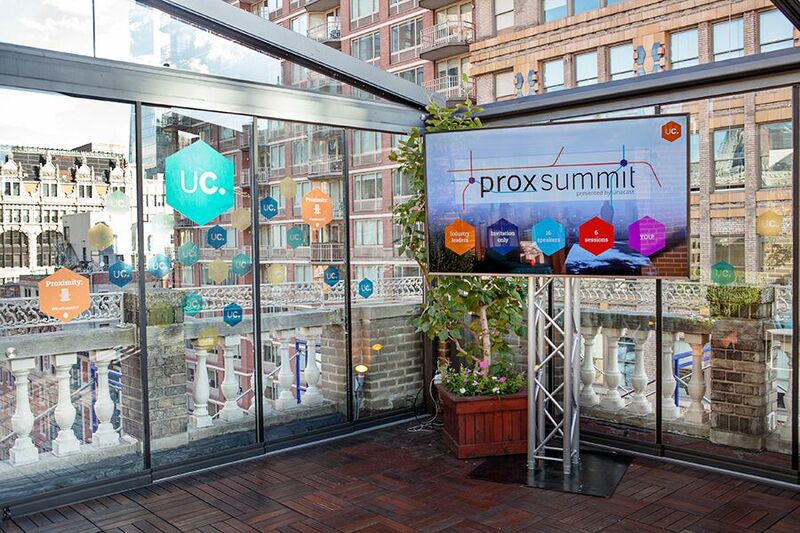 Yesterday, the top 80 Industry Leaders shaping the future of Proximity Marketing came together to create the First Annual ProxSummit, presented by Unacast. 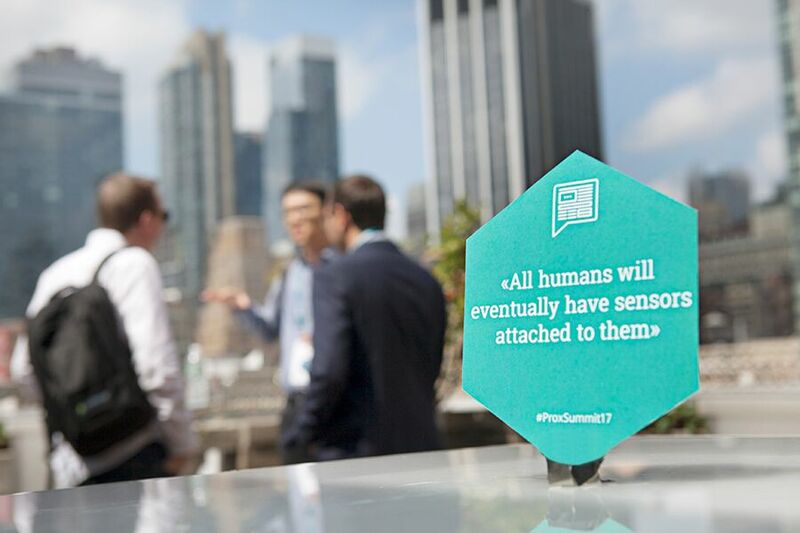 We’ve been working with Unacast, the largest proximity marketing platform and global network of proximity sensor companies, to host ProxSummit 2017 - an event highlighting the shift in location data usage to help people understand their connection with the world around them. If that mere concept doesn’t get you excited, the list of top industry speakers certainly will. This was the inaugural summit bringing in innovators from the advertising and marketing field that were seeking to understand the surge in investments and interest in location-based marketing technologies. The conference advocated for transparency in this specific field, and attendees had a chance to understand the psyche behind accurately approaching innovation through a location-based lens. Fun fact: The predicted estimate for location-targeted ad spending in 2021 will be approximately $32.4 billion. Our outlook on our day-to-day interactions with places and spaces is about to drastically change as we see growth in technology utilizing location-based data. Yet, what is the value of location-data? What are marketers prioritizing? What does the future hold for this sort of access to knowledge in terms of privacy? All these questions were open for discussion at this year's ProxSummit. With four separate sessions dedicated to understanding the relevance of location and proximity, one of our favorites had to be “Do You Know Where Data Comes From?" moderated by Street Fight’s David Card. Jeff White (Founder & CEO of Gravy Analytics), Harry Dewhirst (President of Blis), and Brian Handly (Founder of CEO of Reveal Mobile) discussed the role of transparency around the source for data collection in accurately targeting and catering the market. On September 18th and 19th, one of today’s leading sales leadership events, the Sales 3.0 Conference, will be held at the Planet Hollywood Resort & Casino in Las Vegas. Sales 3.0 addresses all aspects of the sales organization. Speakers will address leadership insights, daily sales management challenges, alignment with marketing, sales enablement, sales strategy and execution, customer management, coaching sales reps, the latest industry research on sales effectiveness, and much more. Between the keynotes and breakout sessions, there's abundant opportunity for networking and demos of the latest sales tech. The event concludes with a complimentary cocktail reception allowing speakers, sponsors, and attendees to get together and mingle. Register for the event here, using SPEAKERV to receive 50% off your registration price. 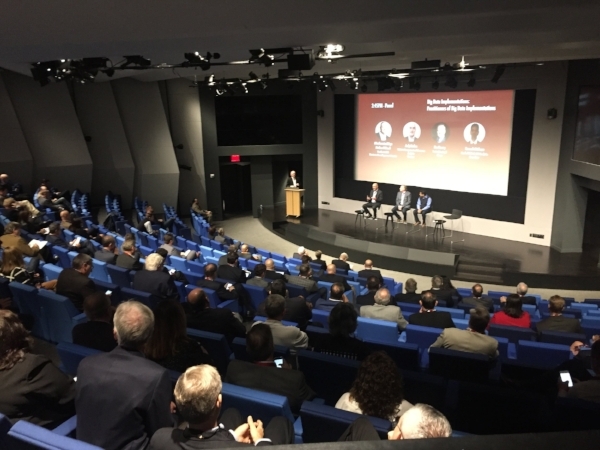 October 6th was an exciting day at the TIME Inc. building in New York City, as nearly two hundred people gathered for Venture Development Center’s first annual VDC Connect2016. Some of the biggest data practitioners and industry leaders came together to discuss the future of big data - where it currently stands, who is at the forefront, and the technology used to implement it. Moderated by VDC Chairman & CEO, Dr. Charles Stryker, it was a full day of panels as well as networking opportunities with attendees from AOL, Legendary Entertainment, IBM, Cisco, Avention, and more. Charles set the stage by giving a big picture overview of what's happening with big data, followed by three panel discussions around companies in transition, analytics, and data implementations. Then, the content closed with three innovative companies taking the stage to present what’s disrupting the big data industry. Blake Sitney, CEO of Profound Networks, described how Profound compiles comprehensive databases of routable IP addresses on the internet in order to develop tools and platforms for maintaining, scrubbing, exploring, modeling, and interpreting data. CEO of UberMedia Gladys Kong discussed turning mobile data into actionable consumer behavioral insights. We finished the day off with Michael Hussey, CEO of StatSocial, who gave us a peek into how companies like StatSocial gather deeper, richer profiles of consumers by understanding their social activities, sourced by mining publicly available actions from individuals across the social web. VDC Connect2016’s speakers and attendees winded down with a seafood platter feast, all while taking in the extravagant views from TIME Inc’s new space. Another event in the books for the cred event management team! Need help hosting your next event? Next March, thousands of creative minds will descend upon the Lone Star State to celebrate the interactive, film and music industries. SXSW is truly an event like none other! Each year, SXSW attracts impressive lineups, ranging from artists like Lady Gaga to speakers like President Obama. Competition is fierce and stakes are high to get on the SXSW stage, but you can have a say in who takes the mic! “VR & AR: A new business for content & media types?” - Big in gaming, virtual and augmented reality is a thriving business model that other industries are looking to incorporate. “The Rise of Digital Music” - As music streaming becomes mainstream, industry leaders describe what the future holds for music worldwide. “Cycling: CEO's new golf to build connections” - Today’s executives are ditching outdated networking opportunities like happy hours and golf for more strenuous events. “Future of Retail: The On-Demand, Peer Economy” - Access over ownership, a movement sweeping today’s industries, now has its eyes on retail. "Hear Her Voice: The New Age of Female Entrepreneur" - Female entrepreneurs describe the emerging trend of more female entrepreneurs shifting the traditional roles of women in business, and reshaping the market. Take a look and vote to help these sessions get on stage! Last Friday, cred attended Digital Growth Summit, hosted by MediaLeaders at the Silicon Valley Moffett Towers in Sunnyvale, CA. It was an intimate event, with 35 Digital Leaders from Facebook, Lending Club, Sprinklr, Visa and more discussing tips and tricks, actionable takeaways and real-use cases over the course of 10 compelling themes. 1. Make your organization customer-focused. In discussing CRM Best Practices, LiveRamp’s Lindsay Chastain, stressed the importance of making your of data standardization in order to deploy a CRM strategy successfully. Case of success: Gatorade released a Superbowl filter on Snapchat that received 160 million impressions, demonstrating the powerful combination of perfect timing, smart platform usage, and innovative consumer engagement. Case of misuse: Snapchat’s release of a Bob Marley filter. 3. Be authentic. Be your own toughest critic. While sharing Influencer Campaign Best Practices, Oliver Roup of VigLink emphasized authenticity in campaigns and why companies need to keep content standards high. It can take just one post that feels inauthentic, for instance, a product placement, to drive audiences away. MediaLeaders hosts Digital Growth Summit events that unite thousands of marketing, advertising and technology professional in LA and San Francisco. From these events, the MediaLeaders team stays on the bleeding edge of word-of-mouth marketing and they use this as their “secret sauce” to coach clients and advise brands on how to connect with their customers. Interested in learning how applied AI is changing the way people connect, work, and live? We’ve got the event for you! Come learn from the experts at the Applied Artificial Intelligence Conference, hosted by Bootstrap Labs. Speakers include Head of Machine Learning at Uber, Founder at SignalFire, Data Science Manager at AirBnB, and Founder of AltaVista, who will be covering topics like smart cities, eHealth, virtual assistants, the connected home, and more. Register today with the code ‘AAI16tech20’ for a 20% discount! With topics ranging from virtual reality to branding and creativity, the first annual Design Gurus Summit, hosted by Uncharted Minds, is a half-day event of keynotes and panels by some of the top design gurus in Silicon Valley. Speakers include Head of UX and Product Design at Lyft, Senior Visual Designer at Hotwire, and Designer at Pandora. You can view a full list of speakers and their biographies here. For additional inquiries, contact: weareuncharted@gmail.com.